Advertising campaigns have an effective way of creating an image for a product that doesn’t always translate to the real thing once prospective customers are up close and personal with it. No matter how many references to luxury seats and agile road handling an announcer makes, the facade can begin to break apart after a few thousand miles. That’s why Consumer Reports surveys customers after they’ve done a bit of driving to see if they would buy the same car again. Automotive News took a look at the results and found that out of all automakers, Tesla, which has had a bit of a shaky relationship with Consumer Reports in the past, topped the publication’s customer satisfaction survey. 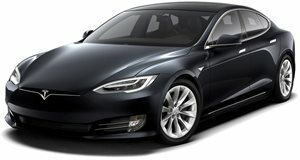 Previously, the Model S sedan broke Consumer Reports’ rating scale before quality and reliability problems forced it to strip the car of its recommendation. 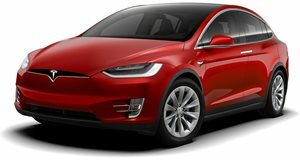 Tesla CEO Elon Musk said he would fix any issues, and while it’s not yet known how those words have materialized, it is clear that owners are happy with their purchases regardless of quality with nine out of ten customers saying they would buy a Tesla again if they were to buy a new car. Part of this could be due to the fact that Teslas have somewhat of a cult status and are bought by fans of the brand who couldn’t be swayed by even the most formidable of Tesla’s gas-powered opponents. Another could be the Model S' status as a car that can do it all, carry the family, smash the competition at a drag strip, drive itself, and save the environment. In either case, this satisfaction among Tesla customers has led the automaker to top Porsche, the runner up in the survey. Other strong finishers include Subaru and Audi, with automakers like Lincoln and Hyundai making substantial gains. Resting at the bottom of the satisfaction list is Fiat followed by Acura, Nissan, and Infiniti. Ram, BMW, and Volkswagen all saw substantial falls in customer satisfaction, a trend that signals that tides will continue to shift as long as competition remains strong.